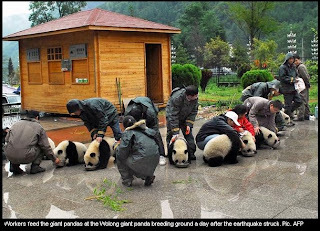 Okay I promise this won't become a panda blog (or a LOLcats blog either). 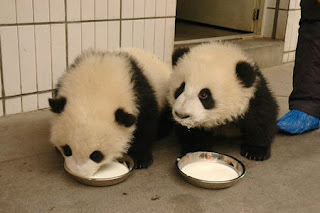 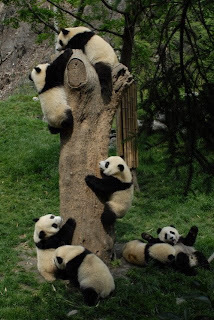 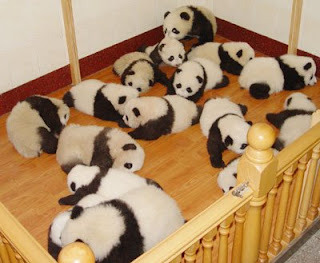 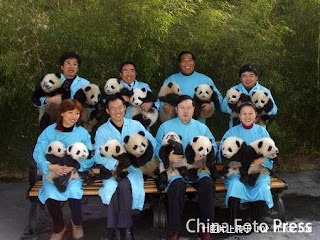 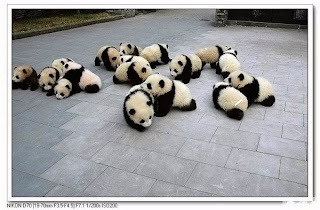 But a friend sent me these pictures of baby giant pandas and they are so incredible I had to share them. 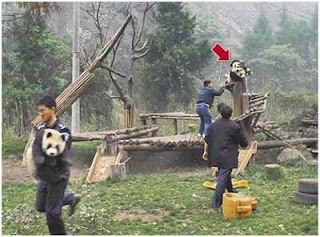 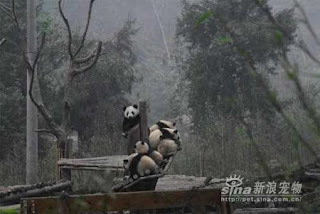 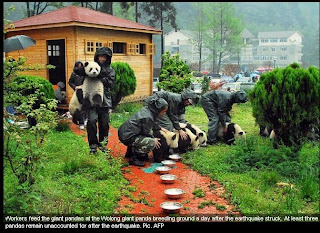 Apparently, the huge earthquake that recently struck China occurred in the area where giant pandas live and so in addition to rescuing people from the rubble, there was also a need to make sure the pandas survived as well.